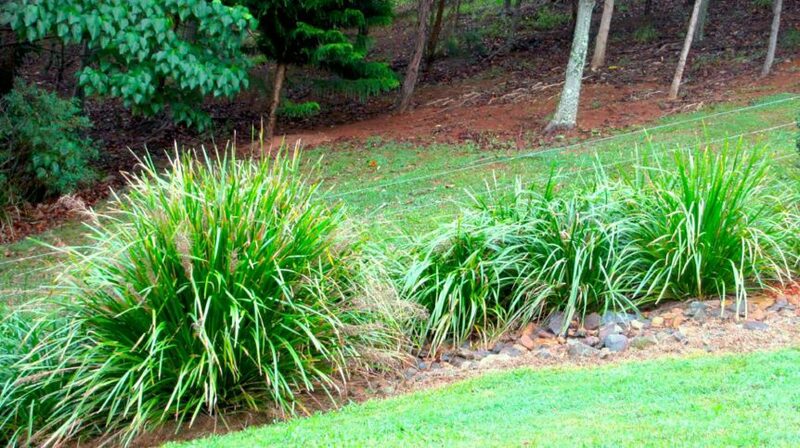 An Australian native plant that adds the features of the popular grasses-type plants to the garden – as well as being drought hardy and easy to care for – is the lomandra. Lomandras produce attractive grass-like foliage and grow to about 1 metre in height. Spiny yellow, perfumed flowers are produced from between the leaves. Lomandras are particularly suitable for mass plantings, or as a border. They are heat tolerant and grow successfully in fairly poor soils, provided it is well-drained. In addition to being suitable for hotter, drier situations, a position of semi-shade is also most suitable. Lomandra plants were of high importance to Aboriginal people as the leaves were used in the construction of baskets as well as fish and eel traps. Lomandra multiflora is a small, grass-like plant with stiff grey-green leaves from 25-85cm high. The creamy, yellow flowers occur in clusters around the base of the leaves during spring. Another grass-like Australian native plant that is suitable for dry conditions is dianella. Dianella, also known as flax lilies because they have very tough and fibrous strap-like leaves, form attractive clumps. They produce long flower stems of blue flowers with yellow stamens. Plants can grow up to a metre in height. Dianellas make good garden subjects for rockeries and in a bush garden. They are also suitable for growing along the edges of paths or driveways. New plants may be obtained from fresh, ripe seeds, or dividing up existing clumps. 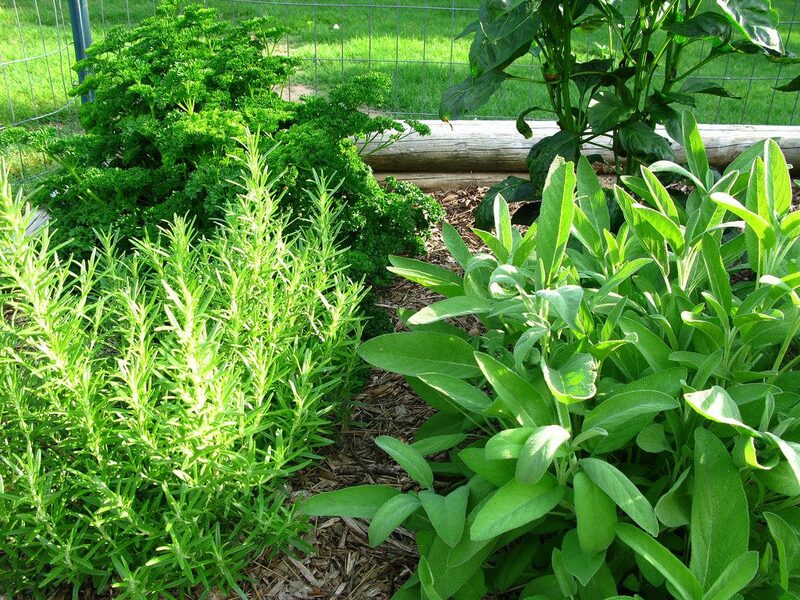 Freshly-picked herbs add great flavour to meals, both hot and cold, ranging from Asian through to Italian. Basil plants grow well in a position of semi-shade. Regular harvesting of the leaves of basil plants will ensure an extended life. It is important to maintain moisture levels of plants. Unlike most herbs, basil leaves increase their flavour with cooking. Chives are hardy plants that grow well in garden beds as well as in pots. They prefer a sunny position, however water levels should be maintained. The top part of the plant can be harvested leaving the bulb to re-shoot. Chillies are members of the capsicum family and prefer a sunny or part-shaded position. They are tolerant of a wide range of soil types and make suitable subjects for pot culture. Plants prefer to be well-watered and lightly mulched regularly. Chillies are available in a range of ‘hotness’, as well as different colours. They should be harvested regularly for the plant to maintain production. However, fruits will not continue to ripen once they have been harvested. Ginger plants can be grown under other plants, as they prefer a fully-shaded position. Attractively perfumed flowers appear with the shiny green leaves. However, it is the rhizome, or bulb, growing under the ground that is harvested. The required amount can be removed from the plant using a sharp knife as this will minimise damage to the remaining plant. Lemongrass is popular in Asian cooking. It also flavoursome when added to fruity iced teas in summer. Plants reach 1.5 metres in height. They have the appearance of a grassy clump. Moisture levels should be maintained, particularly in periods of dryness.